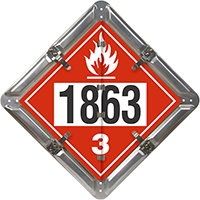 Contents Combustible 1993 (Class 3), Flammable 1203 (Class 3), Flammable 1863 (Class 3), Flammable 1987 (Class 3), Flammable 1993 (Class 3), Flammable 3475 (Class 3) DOT placard flip panels. Ethanol haulers now have their own flip / numbering placard system! 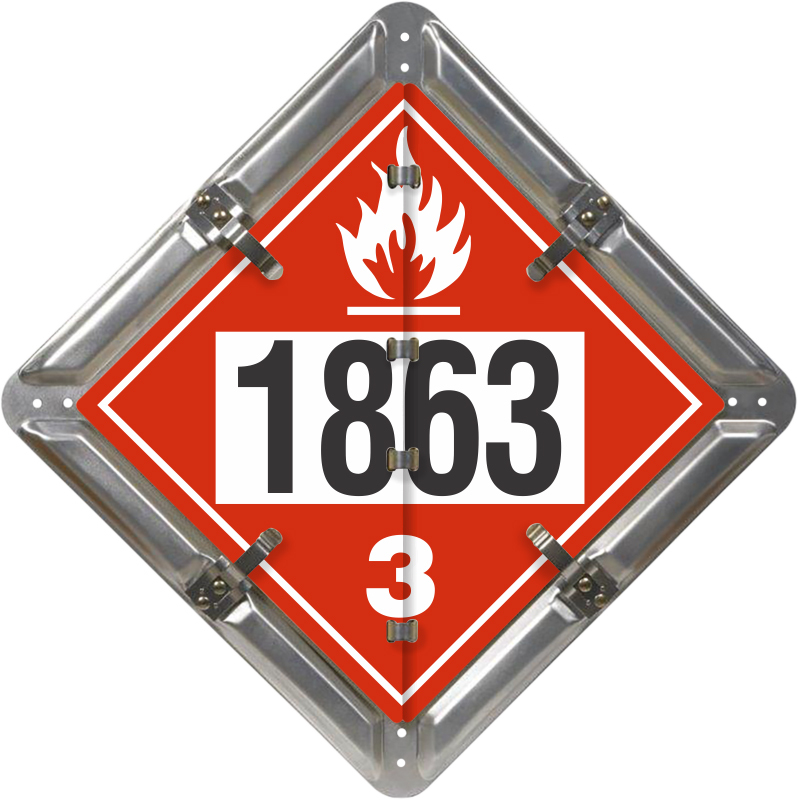 • Ethanol, UN 3475, DOT placard is printed in vibrant colors. But, switch the panels also to gasoline, alcohol, jet fuel, diesel fuel and more. • Base panel backing plate is natural aluminum. Placards are printed onto a 32 mil aluminum, which is 33% thicker than the 23 mil aluminum used by others.